Herr-Voss precision leveling line with fully backed up tandem levelers with thickness range of 0.060” (16 Gauge) through 0.500” (1/2"). Widths up to 96 inches and lengths up to 600 inches long. 80,000 pound uncoiling capacity. Edge trimming capability & flatness critical applications. Auto skid injection stacking & the latest technology in packaging. Four high Herr-Voss multi-cut blanking lines with Red Bud Industries cut to length packaging line. Thickness range of 0.012” (30 Gauge) through 0.135” (10 Gauge). Widths up to 72 inches & lengths up to 144 inches long. 50,000 pound uncoiling capacity. Exacting tolerances, high speeds and automatic changeovers. Coming soon! Camden Yards Steel announces purchase of Red Bud Industries precision multi-blanking line set to come online at the end of 2018. Precision steel blank products up to and including 1/8” (.125) thick x 72” wide x custom length at 50,000 yield. Exacting tolerances, high speeds and automatic changeovers. State-of-the-art high speed slitting capabilities including 62 inch wide, multi head, 60,000 pound uncoiling and recoiling capacity. Able to reach 1,500 feet per minute. 10,000# max and 5,000# max 20" and 24" ID light gauge galvanized steel coiling and recoiling capacity. Fully automatic packaging line. Close tolerance slitting. Coming soon! Camden Yards Steel announces the recent purchase of a stretcher leveler set to come online at the end of 2018. The line will serve as an add on to Camden Yards Steel’s ½” thick by 96” wide Her-Voss leveling line and produces laser quality steel sheet and plate from 16 GA up to ½” x 96” wide x custom length at 100,000 yield. Vacuum brush system on top and bottom and a 60,000# 40’ stacker with scissor lift tables. Custom shearing available. Thickness up to 3/8". Widths up to 14'. Have specific requests or questions about Camden Yards Steel's capabilities? Please contact us. Camden Yards Steel’s ability to identify and deliver value-added processes for its customers results in a high level of satisfaction by all of its stakeholders, including its vendors, customers, employees, the community and its owners. The company offers hot rolled steel, cold rolled steel, coated steel products, floor plate and custom pre-painted coils and sheets. Camden Yards Steel is the only steel processor on the waterfront that can lift 60 tons at a time, more than sufficient to handle the largest coils produced by steel manufacturers. 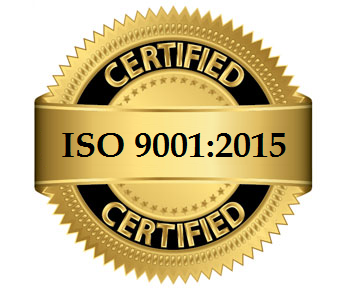 Camden Yards Steel is an ISO 9001:2015 certified company.